Brauer Consulting Group (BCG) is a process based firm that leverages years of event and trade show expertise and commitment to excellence to assist our clients in creating events that are great for them, their customers and our colleagues. We strive for the win-win-win. Susan has more than 25 years experience in the event management and tradeshow industry. Susan’s areas of expertise include strategic goal-setting, event measurement programs, booth staff training and hands-on, interactive workshops. Her experience in setting strategic, quantifiable objectives, promoting and strengthening key corporate messages and demonstrating ROI has led her to also become a sought-out speaker at national events and conferences. Susan is a member of the International Association of Exhibitions and Events (IAEE), Meeting Planners International (MPI) and National Association of Women Business Owners (NAWBO) and TeamWomenMN. Susan has also been honored for her industry leadership by the National Exhibit Designers and Producers Assocation (EDPA) with an Ambassador Award. 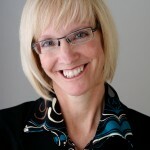 Susan is also the author of BizTravelers a blog that features ideas, tips and recommendations for business travelers.